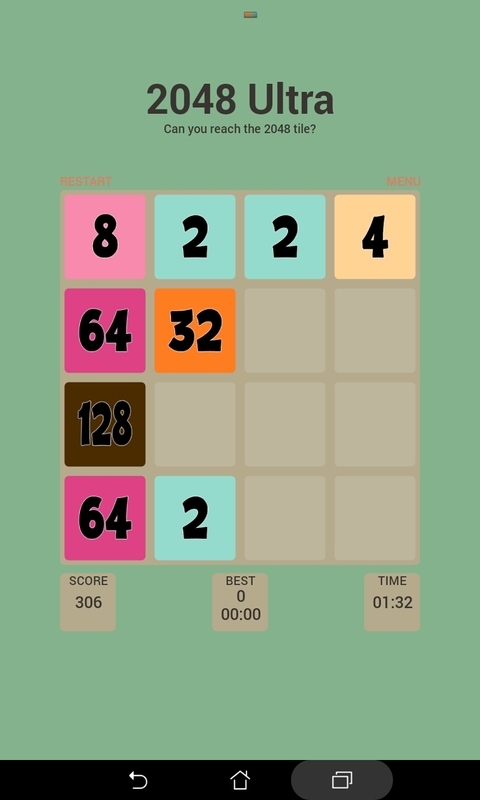 2048 Ultra brings forth the standard 2048 puzzle experience but adds in wonderful twists for slightly increased difficulty and longer gameplay time. 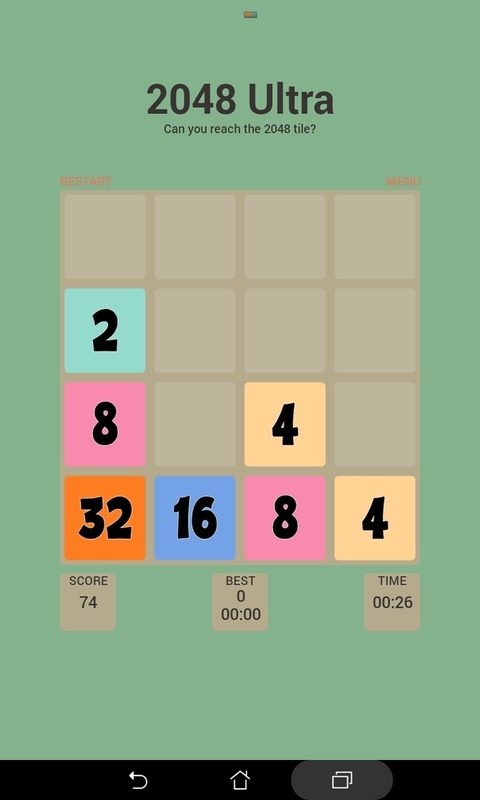 The amazing puzzle game which is extremely easy to play, but really hard to master! 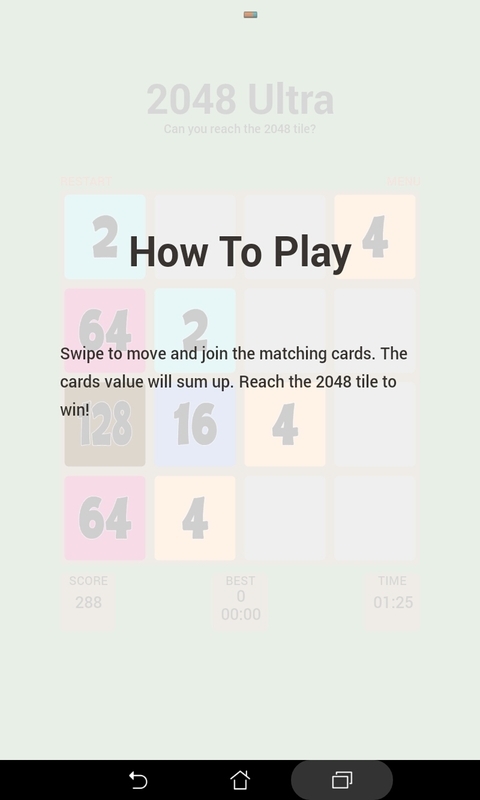 Can you make it to show the 2048 tile? And, if you make it, was your time better than your friends' times? The score indication is a wonderful way to show your friends of how well you did. 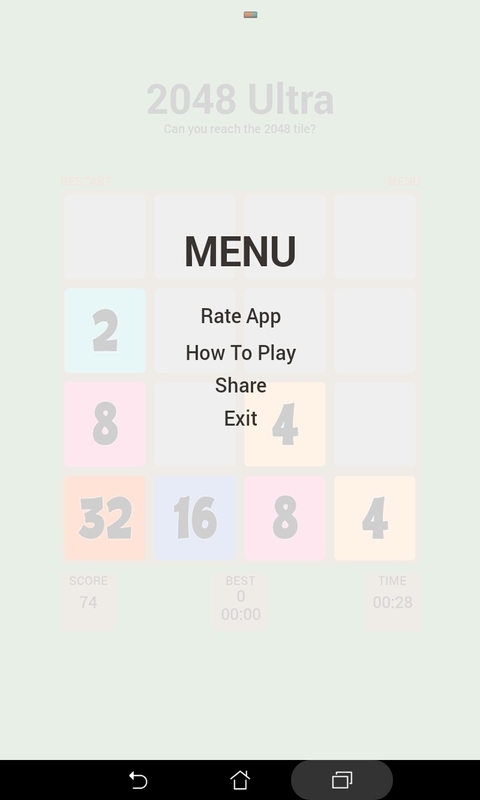 Even if you do not make it to 2048, still the Score is a great sign of your performance. Moreover, your gaming time is also recorded - are you one of those players who think before they act or you simply swipe with your own strategy? The time needed for your latest achievement will show! This amazing puzzle experience is packed in a wonderful, colorful, fully intuitive game interface which delivers! 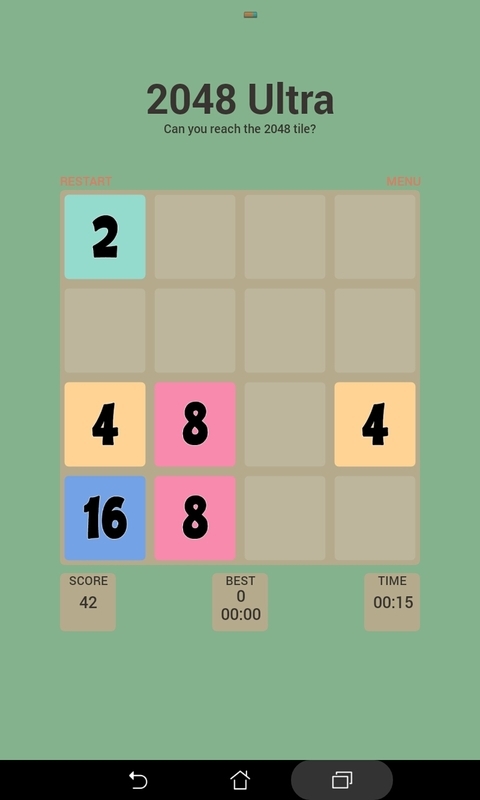 A game ideal for tablets or phones due to its small size, 2048 Ultra is indeed the Ultimate puzzle game in the store!